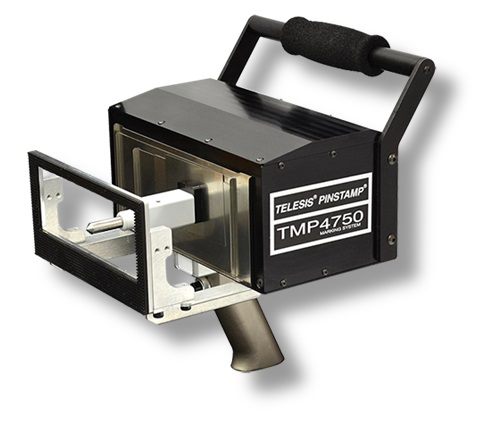 The TMP4750 is the latest addition to the PINSTAMP® family of marking systems. The versatile TMP4750 boasts a rack and pinion platform delivering the most precise dot placement in the industry; this equates to clean crisp 2D codes every time. The 140mm x 40mm marking window makes this an excellent choice for VIN marking. Available in both handheld and fixed mount versions, this marker fits nearly every dot peen application.